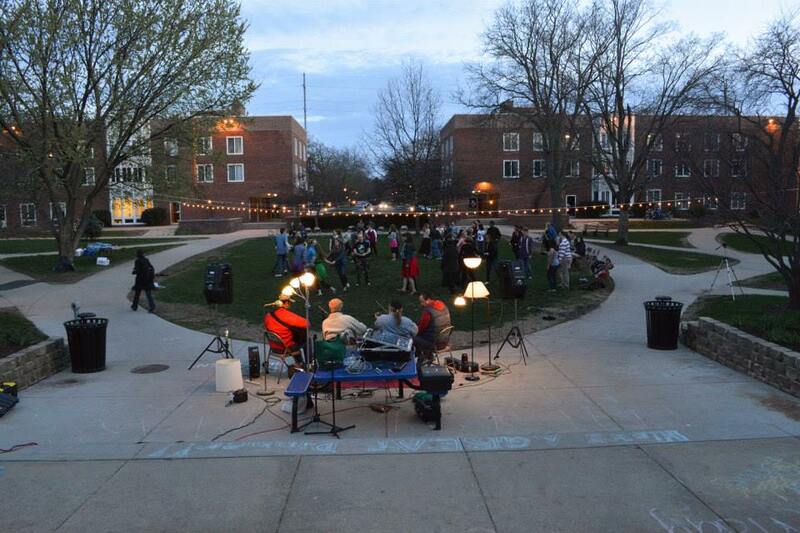 Get Ready for More Contra in Beloit! 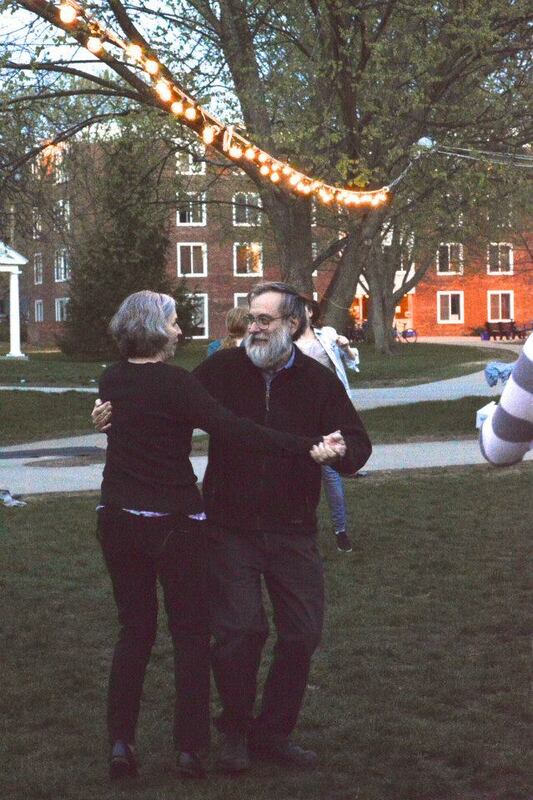 The cold didn’t stop our most dedicated contra fans from coming out for the first dance of the Spring semester this past Friday. 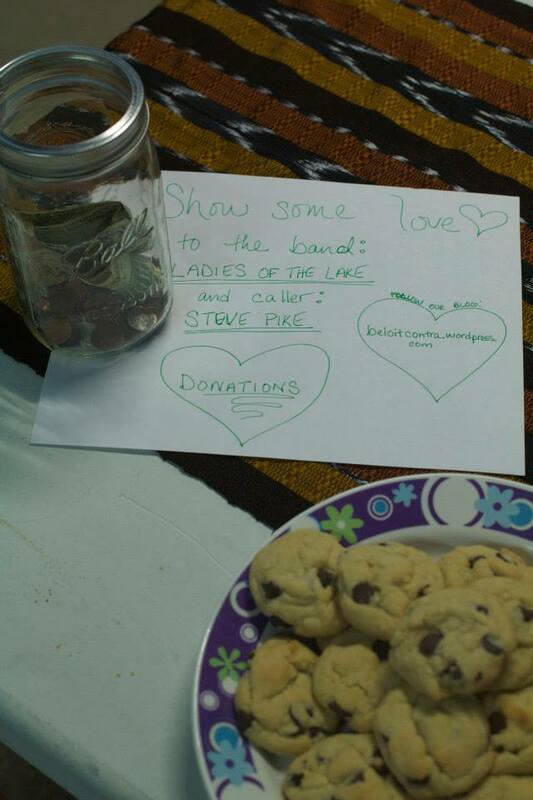 Caller Steve Pike and the Ladies of the Lake joined Beloit Contra Dance Club for a Valentine’s Day Dance. 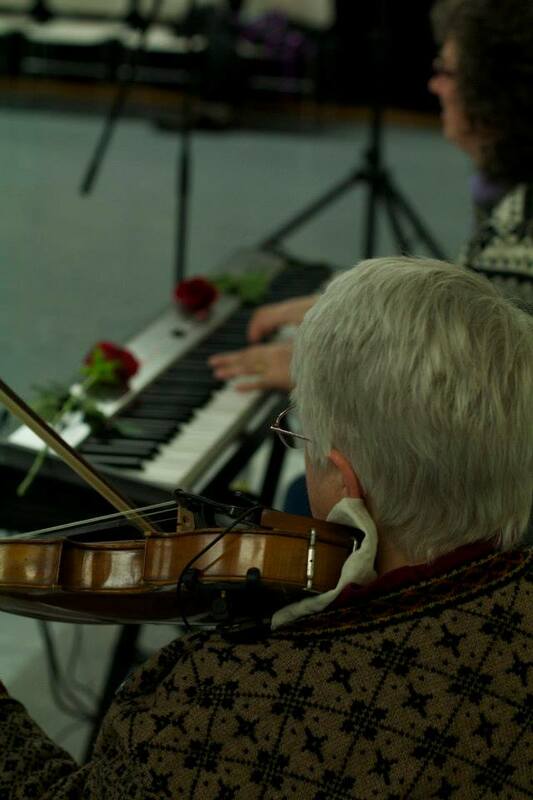 The Hendrick’s Center was filled with pinks and reds on skirts as well as streamers gracing the walls, and two red roses decorated the band’s keyboard. 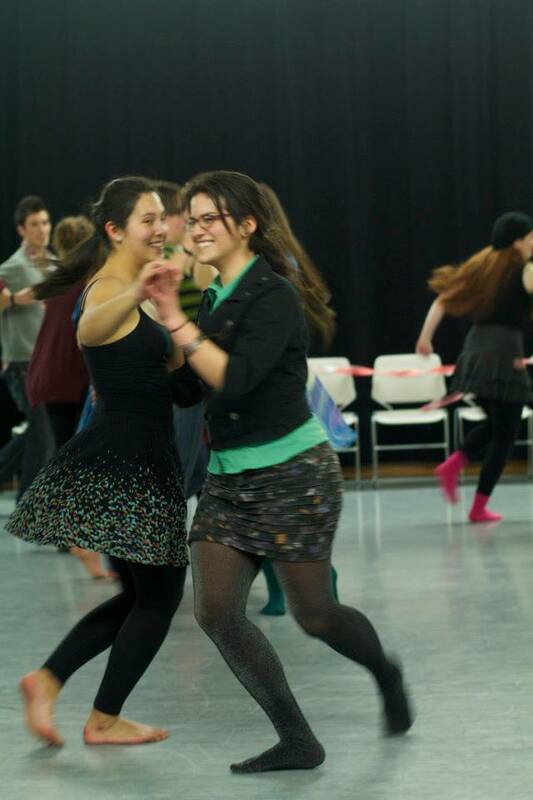 We began with our standard half hour lesson followed by two and a half hours of dancing. Frequent water breaks kept us on our toes. 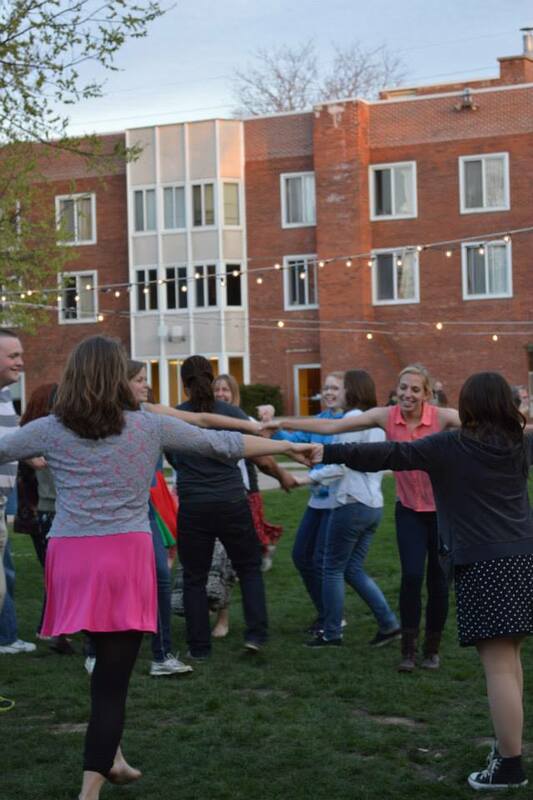 An all-around favorite was the spiral dance. Thanks everyone for coming out. 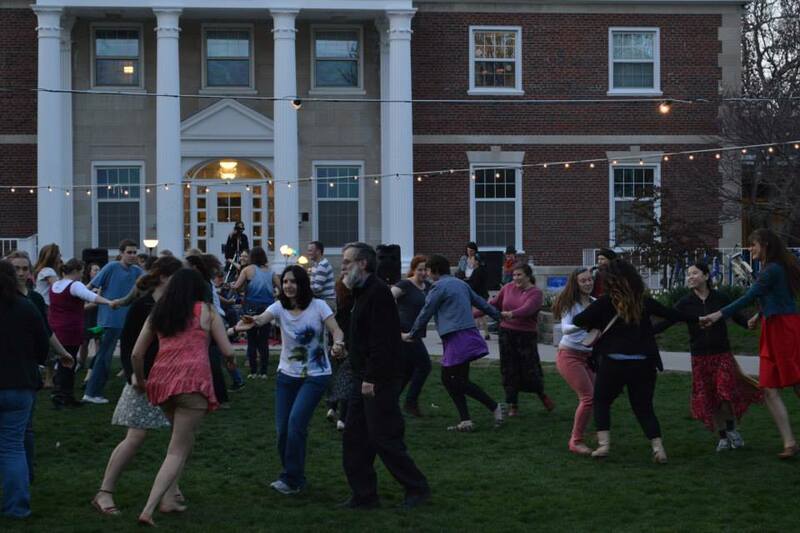 Look out for updates on our March 22nd dance which will feature Beloit College’s own North Atlantic Music Ensemble! 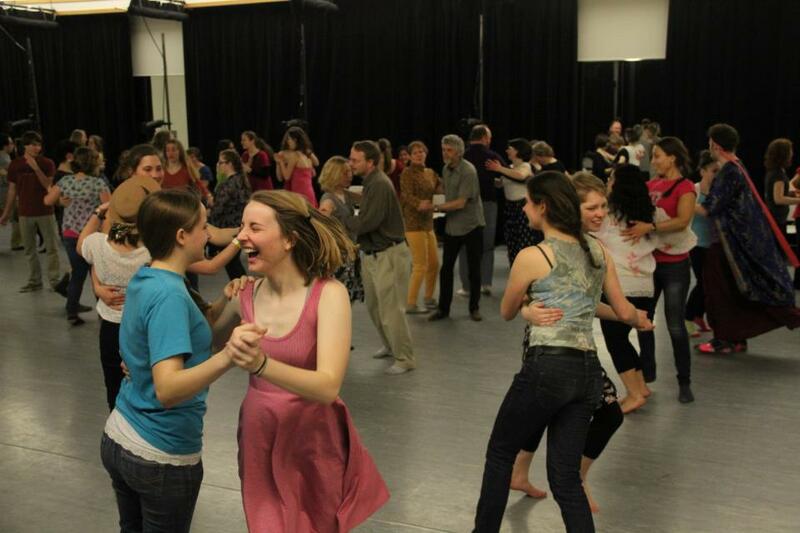 Welcome to the Beloit Contra Dance! 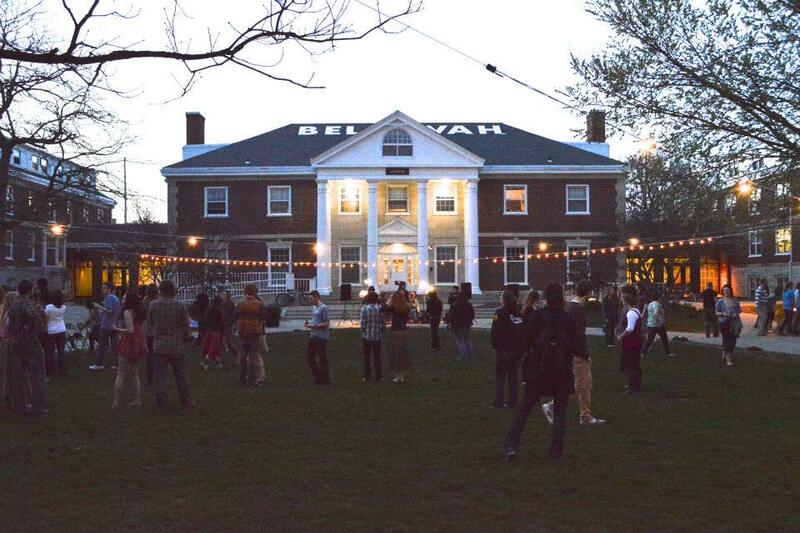 The Beloit contra dance is a once-per-month dance featuring live music, calling, and a lively group of friendly dancers. 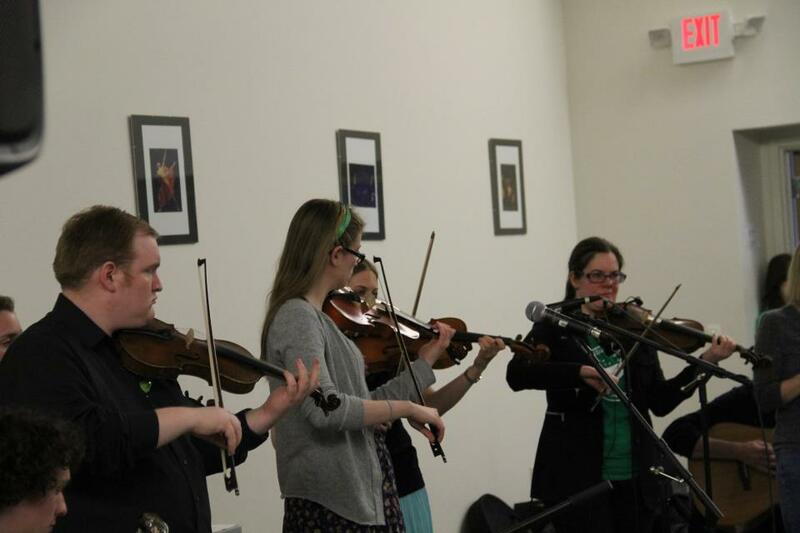 We feature talented performers from southern Wisconsin and the surrounding areas. We welcome new and experienced dancers and dancers of all ages. 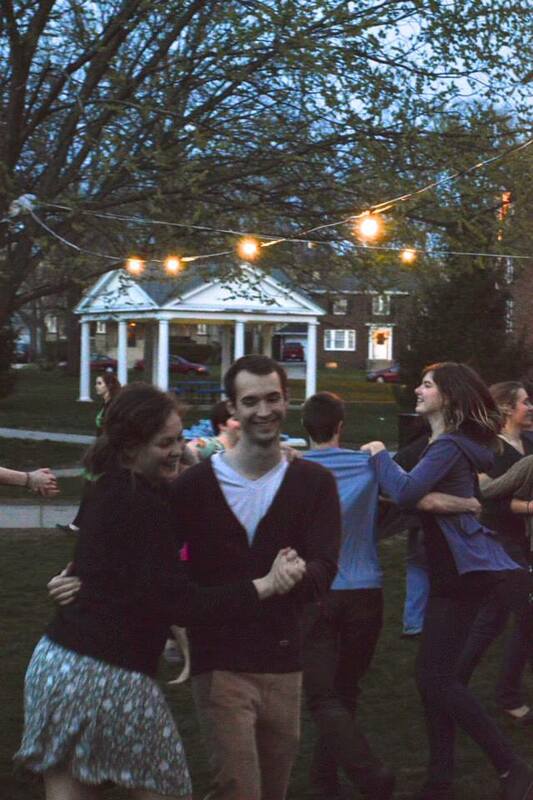 No experience is necessary, all dances are taught and called, and you don’t need to come with a partner. 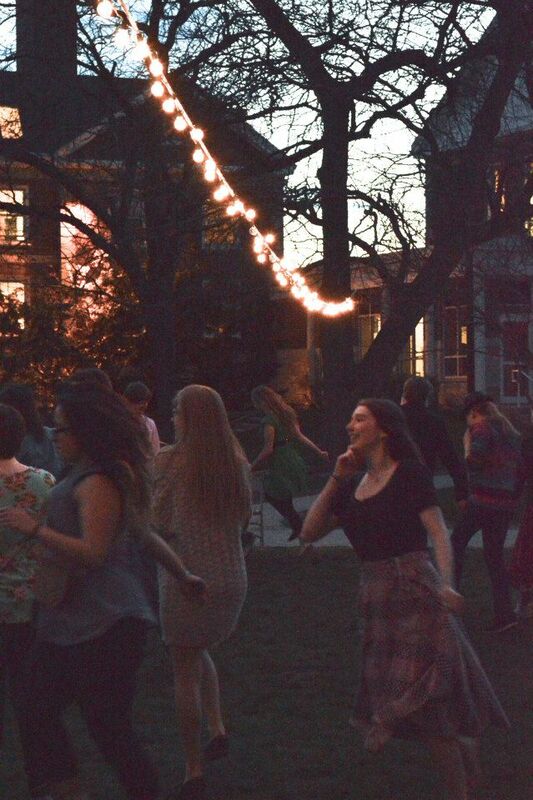 Dancing is also FREE, although donations are accepted and appreciated. We’ll see you there! 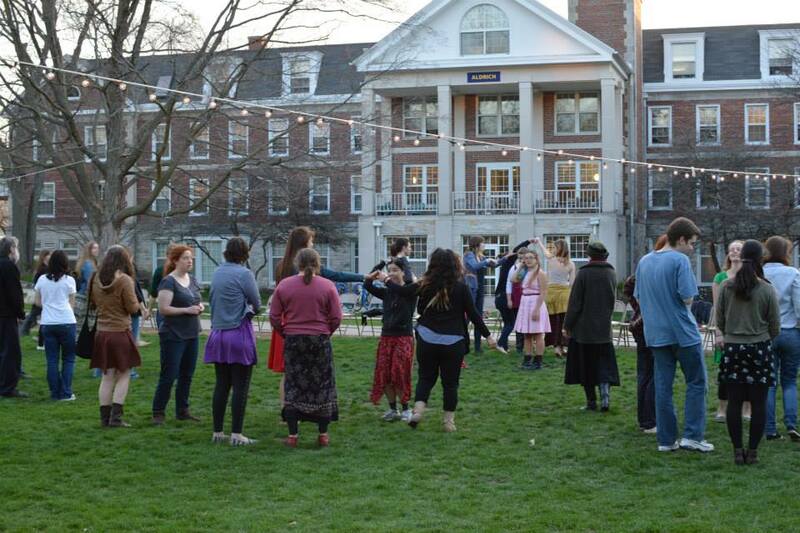 The dance takes place in the Beloit College Hendricks Center for the Arts at the corner of East Grand Avenue and Pleasant Street, in downtown Beloit, WI. The Hendricks Center features open dance studios with smooth dance floor space and excellent acoustics in a convenient location. 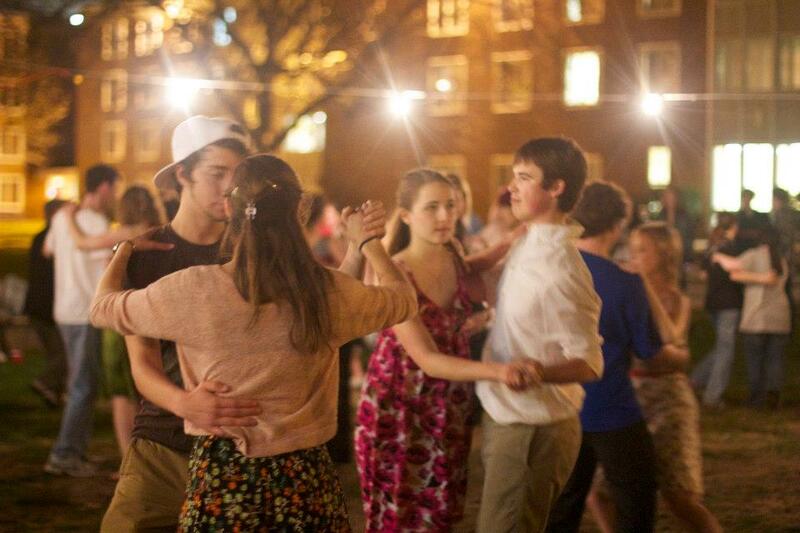 Every Dance begins with a beginner lesson from 7-7:30pm. Dancing begins at 7:30pm and generally ends at 10 pm. 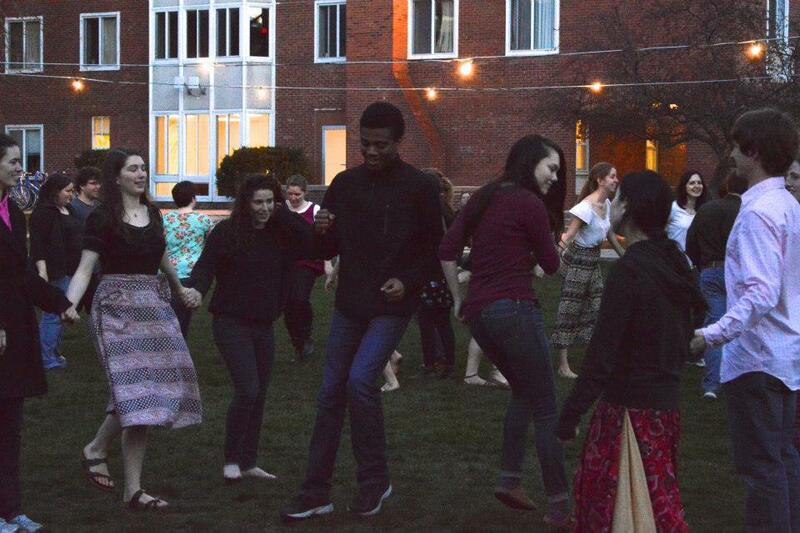 Please bring a pair of clean, soft-soled, non-street shoes for dancing. Socks or nothing at all are also options. Rubber soled shoes are not recommended. This will help to protect the floor and keep the hall clean. Please change your shoes in the front hall before entering the dance space. 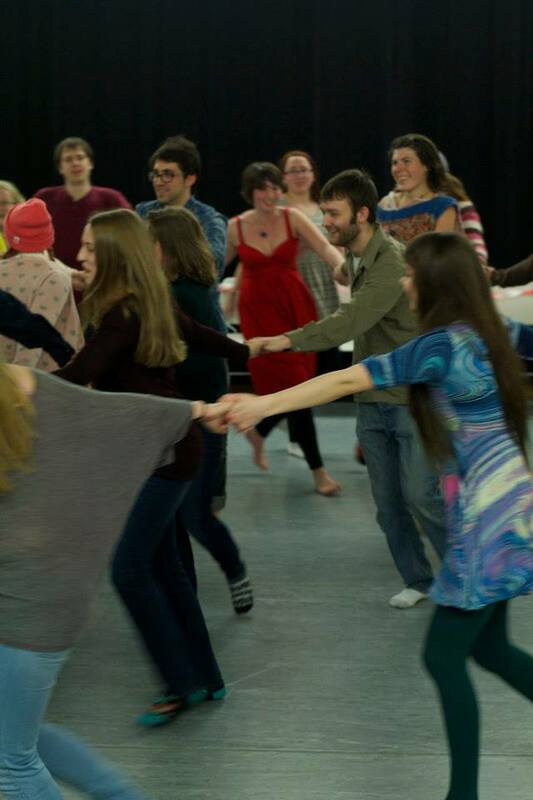 There is no dress code for contra dancing, so wear what is comfortable for you. That said, dancing is a very active form of exercise so dressing to stay cool is highly recommended. Please bring a water bottle! You WILL be thirsty!